The Best Way to Advertise a Business » Embroidery Talk Has Moved! I’m guessing when many of you read the title of this article your thoughts immediately went to a print ad, or a billboard, or even a listing in the yellow pages. All those are good methods of advertising, and may be very useful in certain situations. They are not, however, the best method available for advertising a business or a brand. The best method of advertisement and branding, whether or not your customers know it, is the emblem that goes on the uniforms your customers’ employees wear. Some people think that the value is in the uniform, not the emblem, but that’s simply not true. A uniform is necessary, and serves as a means of making sure that all your customers’ employees are dressed alike, but a uniform isn’t unique. If you dress 50 people up in plain navy uniforms without emblems, you simply have 50 people in identical uniforms. There’s no way to tell if one person works at The Plant Haus, and another works at Cakes R Us. They all look the same. If you put an emblem on those fifty navy uniforms, identification becomes easy. After all, the Plant House logo will be different than the logo from Cakes R Us. 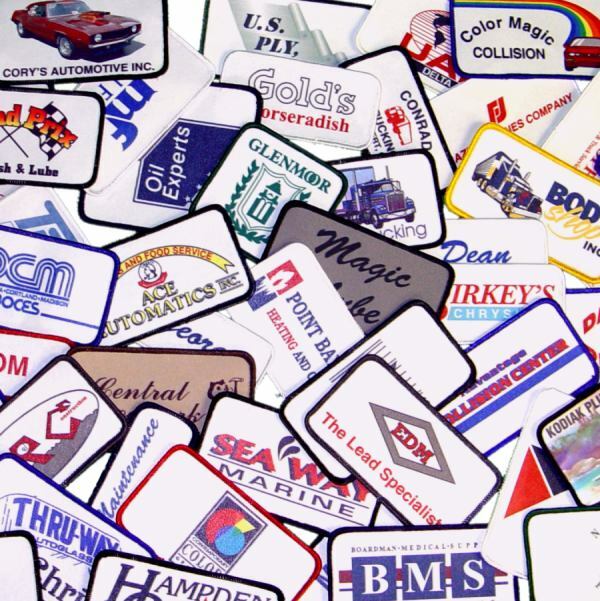 An emblem helps your customer’s logo, and the uniform it adorns, stand out from the crowd. It also turns employees into walking billboards, who are advertising the business for which they work every time they put on the company uniform. Business owners work long and hard to create the logos and slogans that are used to advertise their businesses. Many of them will also spend a lot of money on acquainting their customers with those logos and slogans. What many of these business owners fail to realize is the best advertising their business could ever have is the emblem that goes on their company uniforms. Luckily for those business owners, they have you, and your knowledge of the value an emblem can bring, in their corner. You also have EnMart in your corner. After you’ve sold your customers on the value an emblem can bring, EnMart has all the supplies you need to create those emblems. From blank patches, to the thread to embroider them, to the adhesive backing needed to hold them in place in the hoop, EnMart has all the supplies necessary for creating embroidered emblems. If the logo is elaborate, EnMart’s blank patches are 100% polyester and perfect for sublimation. We also sell custom sublimated patches for those who don’t wish to do the work themselves. This entry was posted on Thursday, November 11th, 2010 at 12:12 pm and is filed under Patches/Emblems. You can follow any responses to this entry through the RSS 2.0 feed. Both comments and pings are currently closed.